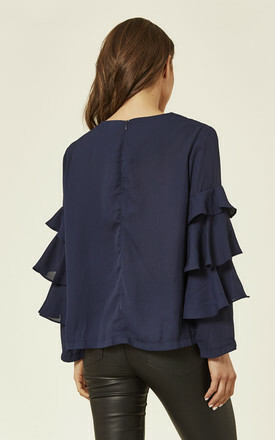 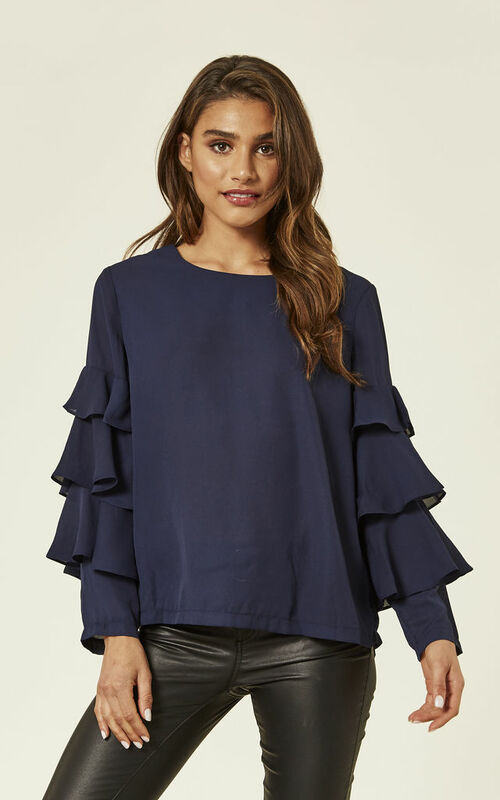 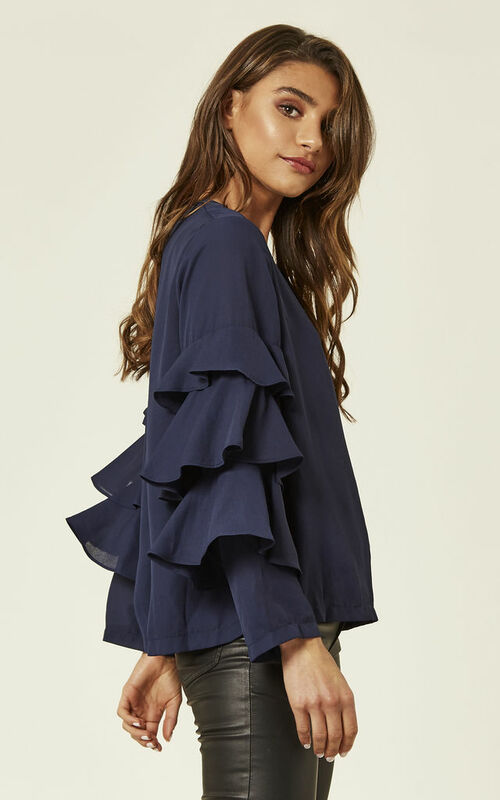 Gorgeous and cute relaxed fit top with triple ruffle on a long sleeve and round neck. No need for more accents to build your unforgettable outfit. Perfect with slim jeans.